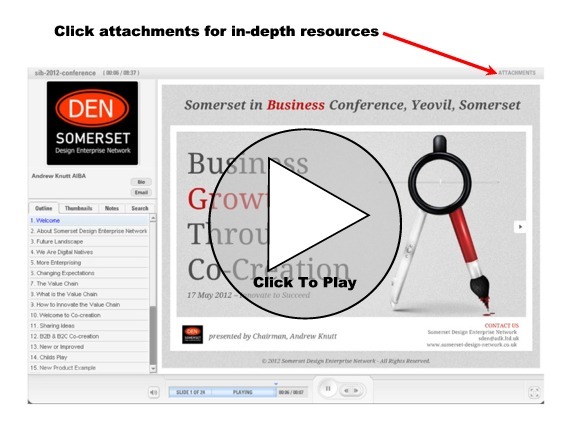 Please note that this presentation uses Flash and not viewable on iphone or ipad. View PDF version here. This presentation was further explained in a practical workshop delivered by Richard Holt, director of Core Business Design. To have a co-creation workshop delivered at your business or organisation please contact us. Unify your online communications and market yourself better with online strategies workshop designed to help you maximise your online activities. Delivered by Andrew Knutt. Designed to form collaborative business propositions and develop business project plans for immediate implementation.